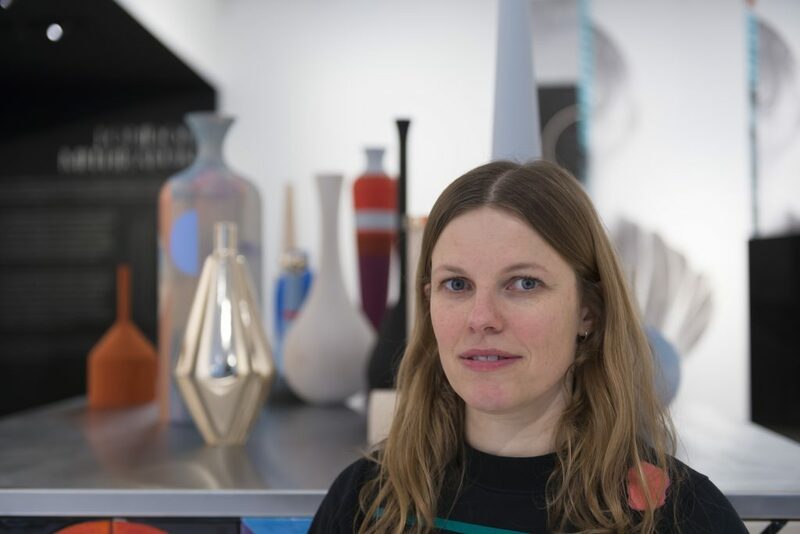 London Mithraeum Bloomberg SPACE has unveiled its latest contemporary art commission, Shift, by Berlin-based artist Claudia Wieser. Wieser’s installation transforms the ground floor of the three-level space with delicately crafted sculptures and collaged wallpaper, welcoming visitors to explore an ever-changing scene where the ancient and the contemporary conflate and collide. Wieser’s Shift characteristically weaves together material from the realms of fine art, architecture, design and film. In her productions, the world becomes a stage where artefacts and images become props, offering new ways of seeing known spaces. 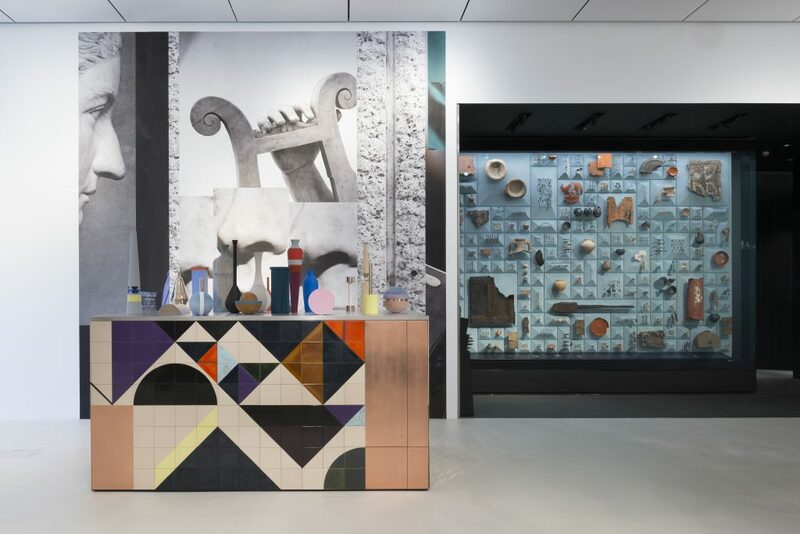 Her inventive use of modern geometric patterning and decorative motifs are also apparent throughout the scene she has devised for Bloomberg SPACE. Using composite wallpaper, ornamented woodwork, hand-painted tiles, and multifaceted mirrors, Shift highlights Wieser’s ability to create an interactive and perception-bending environment. Situated on the site of Bloomberg’s European headquarters, London Mithraeum Bloomberg SPACE returns the ruins of the 3rd century A.D. Roman Temple of Mithras to the location of its original discovery in the heart of the City – offering visitors an immersive experience of the ancient temple as well as a chance to see a remarkable collection of Roman artefacts found during the Bloomberg building’s excavations. Expanding on Bloomberg’s legacy of support for new commissions by international artists, the Bloomberg SPACE gallery aims to present thoughtful works by contemporary artists whilst bringing fresh perspectives to the many-layered history of the site. love and family seem relatively unchanged in the city of London as we see it today. Against the backdrop of Wieser’s scenography, are five large sculptural interventions: a mirrored, stainless steel cube, a tiled and copper throne, two ceramic tiled benches and a plinth, populated with groups of wooden, vase-like sculptures. Each distinctly adorned by hand, the varying shapes and sizes of the smaller sculptures suggest a “family constellation” that responds directly to the wall of historic Roman artefacts, also on view in the space. These specific visual arrangements breathe presence and timelessness, prompting the viewer to take a dedicated position within the staged situation – both reflecting on the past and fixed in a narrative that only exists in the very moment one enters the space. 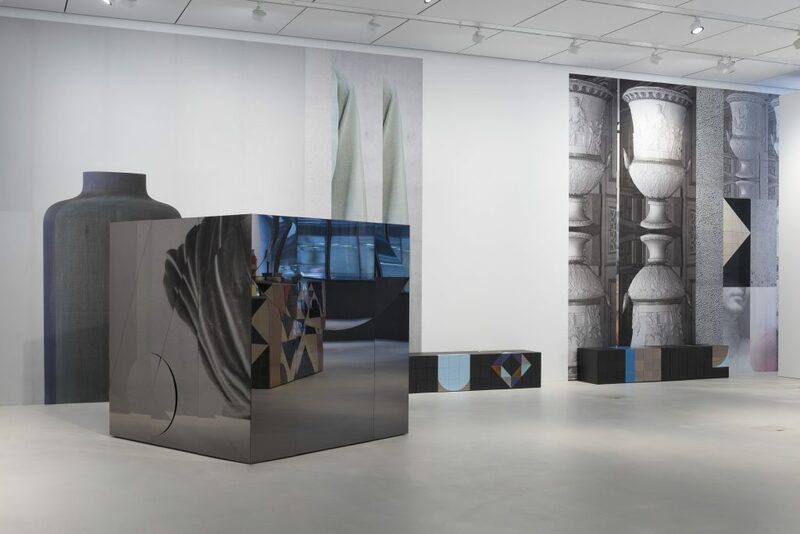 This gathering of objects and epochs is quite literally reflected back through the many-faceted materials installed in the gallery. At its core, Shift provokes questions about the different lenses and perceptions of past and present whilst inviting viewers to create their own associations and narratives. on Sundays from 12.00 to 17.00. Pre-booking is advised through londonmithraeum.com. 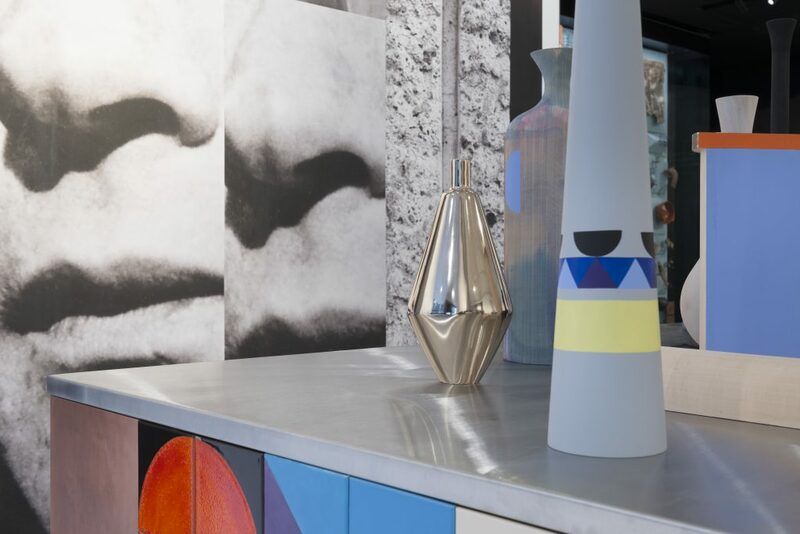 This entry was posted in NEWS and tagged Claudia Wieser, London Mithraeum Bloomberg SPACE. Bookmark the permalink.